In Zagreb His Holiness was cordially invited to a breakfast meeting with the President of Croatia. President Mesic expressed keen interest in Swamiji's humanitarian projects and his tireless efforts for the protection of the environment and for world peace while conversing on various topics from India as well as from Croatia. 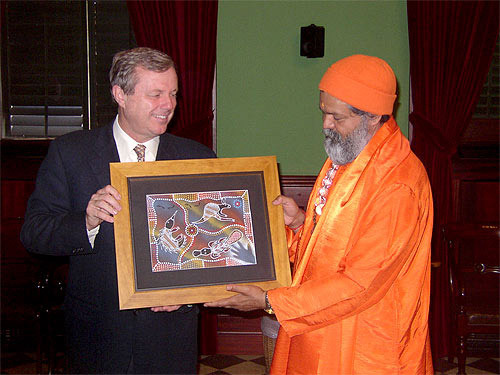 On March 25th 2004, His Holiness Vishwaguru Mahamandaleshwar Paramhans Swami Maheshwarananda Ji was invited to Parliament House by the Premier of South Australia, His Excellency Mr. Mike Rann. 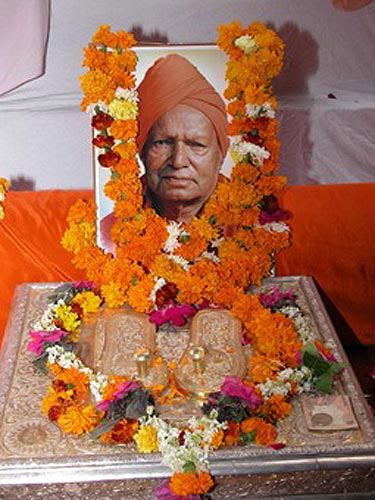 On November 15th 2003, several thousands of visitors from all over India, as well as guests and devotees from countries far and wide, gathered at the Om Vishwa Deep Gurukul Swami Maheshwarananda Ashram to witness the official declaration of Mahamandaleshwar Paramhans Swami Maheshwarananda Ji as successor of Dharmsamrat Paramhans Swami Madhavananda Ji. On the 30th of January 2003 a historical meeting between the President of the Republic of India, His Excellency Dr. A.P.J. 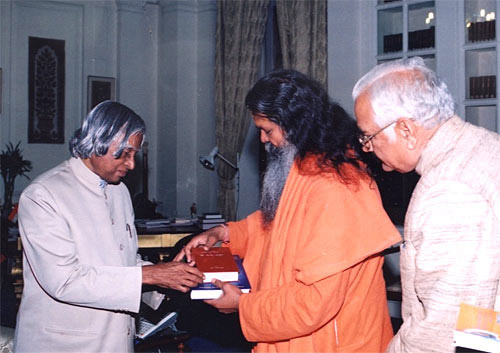 Abdul Kalam and Mahamandaleshwar Paramhans Swami Maheshwarananda took place in New Delhi. Swamiji and the President spent 45 minutes in relaxed conversation about social and spiritual topics.